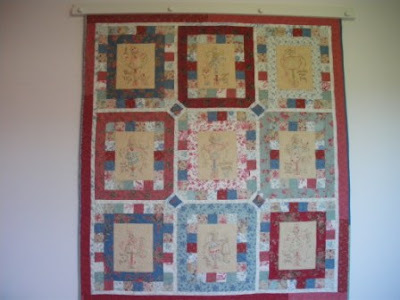 One of my friends daughters was visitng Loxton the other week and called in for a coffee, she brought with her the quilt that she has been making over the past 2 years. I've been watching it come together over this time and it was great to see it finished. It's Cinderberry Stitches 'Truly Scrumptious'. 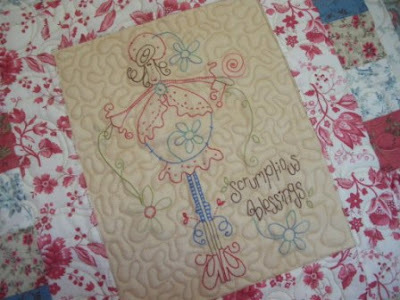 Han is only 20 and does an amazing job of her quilting and her stitcheries are sooo neat. I was visiting them last weekend, so took a pic of it hanging on her wall. I've been itching to get my sewing machine out of late and make some tops and dresses which I used to do years ago. 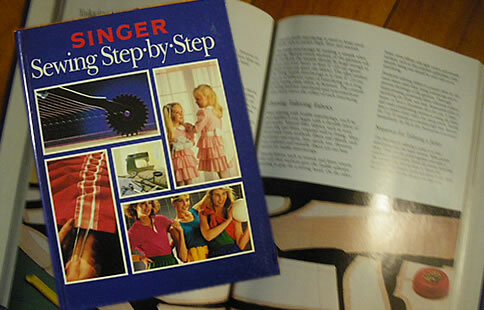 I feel I needed a refresher on basic sewing skills so I bought this book off of ebay. I've only flicked through it so far, but it looks great...just what I will need to get me back into it. I will of course need to find some nice simple patterns that I like too! 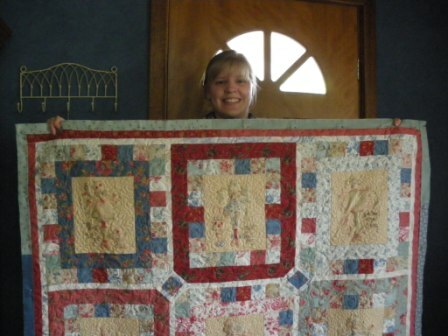 Gorgeous quilt, she has put a lot of hard work into that. It really is a lovely quilt,good luck with the sewing, I am sure you will get right back into it and will be wearing a outfit by the weekend.